Queenswood Swim School - An ASA qualified Swimming School in Herts. Learn to swim lessons and sessions. Established in September 2006 Queenswood Swim School has developed a good reputation within the local community for safety, good organisation and expert teaching. 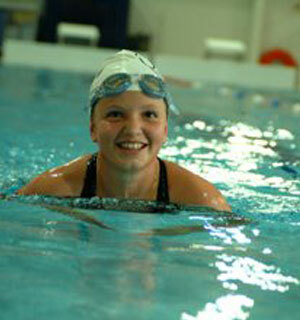 Queenswood Swim School offers lessons to suit all abilities, for children from around 4 to teenage. Lessons are also available for adults, from non-swimmers to advanced, and for those who wish to swim to keep fit. All our teachers hold a teaching qualification under the ASA (Amateur swimming association) or STA (Swimming teachers association), and offer a friendly approach to teaching. Our instructors regularly teach in the water, which allows pupils to develop their confidence whilst applying practices and exercises that help all pupils to reach their full potential. We run the ASA Skills Badges (amateur swimming association) and STA Distance Badges (swimming teachers association) distance awards schemes. The badges are issued to those that achieve the standard required every other term. Badges and certificates are available to buy during class assessment week of the current term. For that little bit of extra safety and parents' peace of mind, we have a fully qualified Pool Lifeguard on duty at all times. 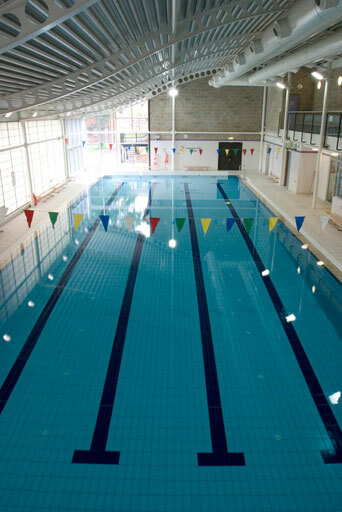 During the times that the Swim School operates we have exclusive use of a fabulous 25m x 4 lane heated swimming pool. It has a shallow end of 1m depth, where most 4yr olds can stand, and a deep end of 1.85m, which allows us to teach diving as one of our disciplines. High standards of hygiene and cleanliness are paramount to us, so rest assured this is taken very seriously. All swimmers must wear swimming hats and shower prior to entering the water. QSS swim hats are exclusively for sale at the swimming pool - just ask a member of our staff. If you don't want to learn or your child to learn to swim in a group environment? Maybe you just need to gain a bit of confidence or improve you technique? Whatever age or standard you are we can offer you private 1:1 and 1:2 lessons are available during term time on a Monday evening (19:00-20:00), Friday daytime (12:30-13:00) and afternoon (16:00-19:00) and on Saturday at various times, plus during all crash course weeks between mid- morning and lunch time. Please contact us for costs and availability. For existing clients we hold a registration week at the swimming pool so they can re-register and talk to us whilst attending their normal swimming lesson. Forms are made available in the Pool reception area two weeks before with a notice of "booking on week" dates. Existing Clients always have the priority of booking on the time and slot they currently hold or nearest to it if we need to move them. That priority is normally held for 1 - 2 weeks. Any places that are not paid for in full by the end of the priority period become available to anyone wishing to take them. Payment is accepted in the form of cash or cheques. Class Assessments (once booked) Prior to the registration week we hold an assessment week where the Swimming Pool staff assess each swimmer to determine which class they need to be for the following term. We then adjust the classes accordingly to the majority of the assessments. Swimming assessments for new clients to establish a suitable class level can be arranged by calling 01707 602596 prior to booking.